How much does TeamGantt cost ? 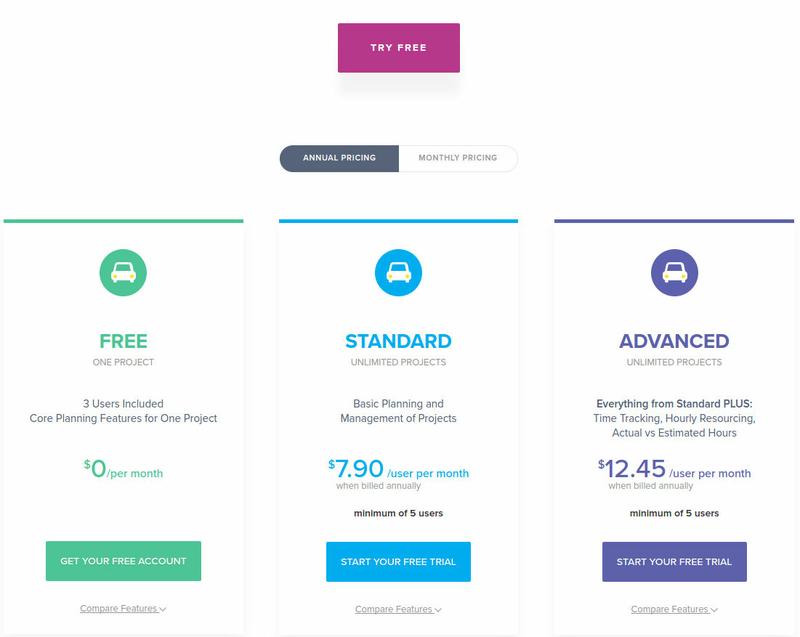 The pricing for TeamGantt starts at $7.9 per user per month. 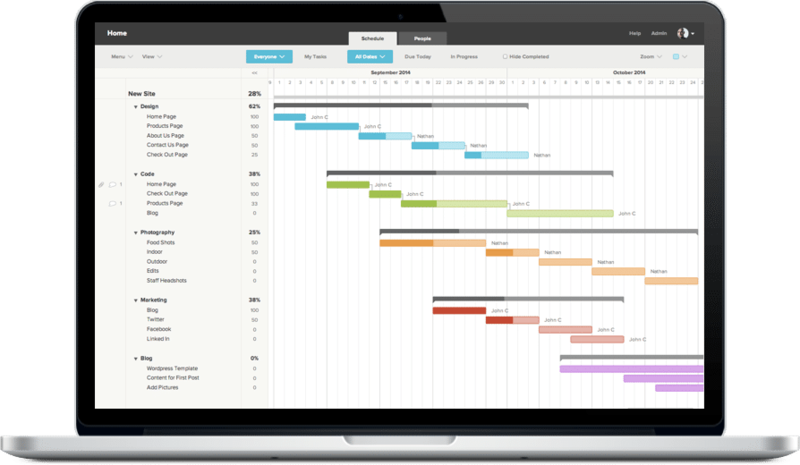 TeamGantt has 2 different plans such as - Standard at $7.9 per user per month and Advanced at $12.45 per user per month. TeamGantt offers a Free Plan with limited features. They also offer an Enterprise Plan for their product. 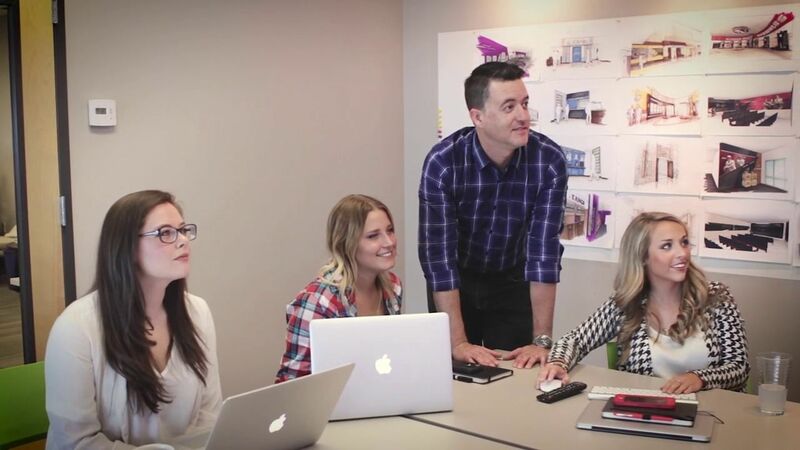 Customized plans for large teams and special needs. Contact the vendor for detailed pricing. "Quick and easy PM tool!" It's really easy to use and customisable. 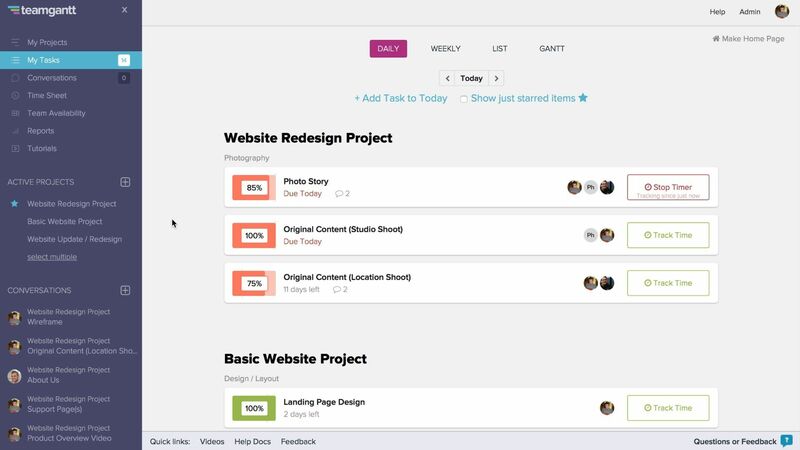 It is quick to update project progress and add tasks and allocate them too. Grouping the tasks is good visual aid. Adding holidays is not that easy, for example I have to add them as tasks, and then I cannot add more than one task timeline to one line, I have to add a new line each time, e.g. John holiday 1, John holiday 2, as separate tasks. If we could centralise holidays then it would block out that person's time in each gantt they are associated with. Universal knowledge and agreement of project information and progress, as well as allocated responsibilities. Everyone is on the same page. 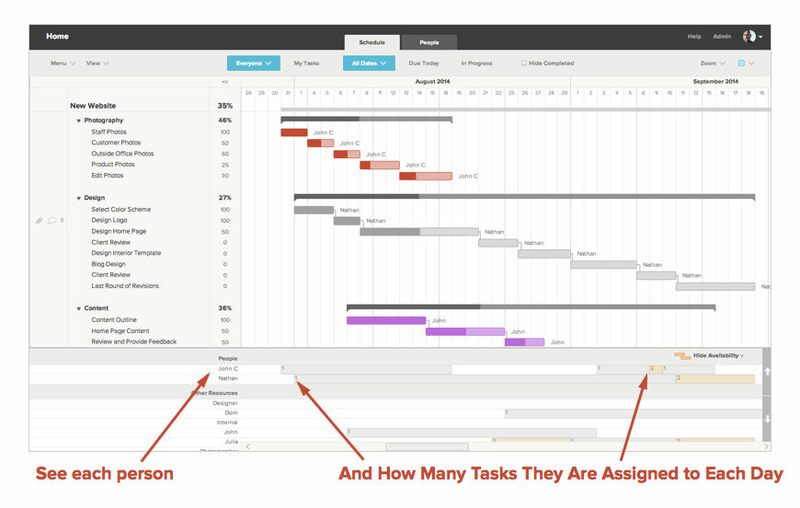 "Extremely Quick & Easy Gantt Chart"
There are a lot of awesome details, like drag the duration of the task, and connect the task with easily.. but the most awesome thing is the extremely quick reaction. Nothing! I really like it and I'm sure that the developers will put the best on this product every day! Planification projects for the Factory, sales Projects, Financial Projects, in each I can see the principal Chain progress, and what lines are late vs the time to take action immediately! 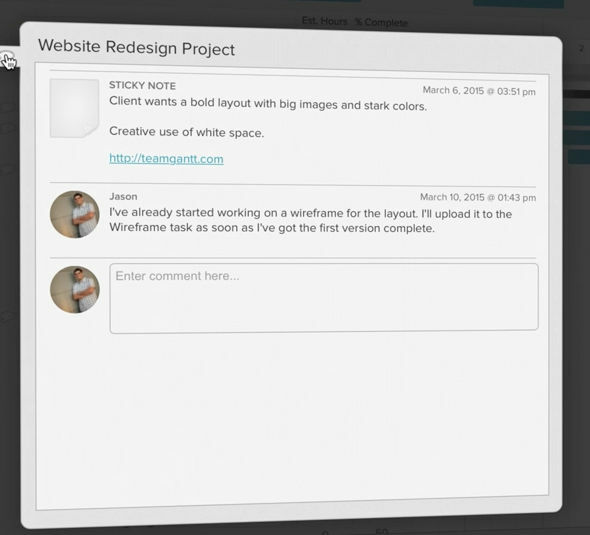 "Way more easy to use than 'The usual'"
I like the ability to access numerous projects within one, overall view which saves lots of opening and closing of related projects. Not alot! Its a pretty inclusive Project Management tool and much easier to use than the version offered by a market leading software provider.........!! Multi-access Project Management. 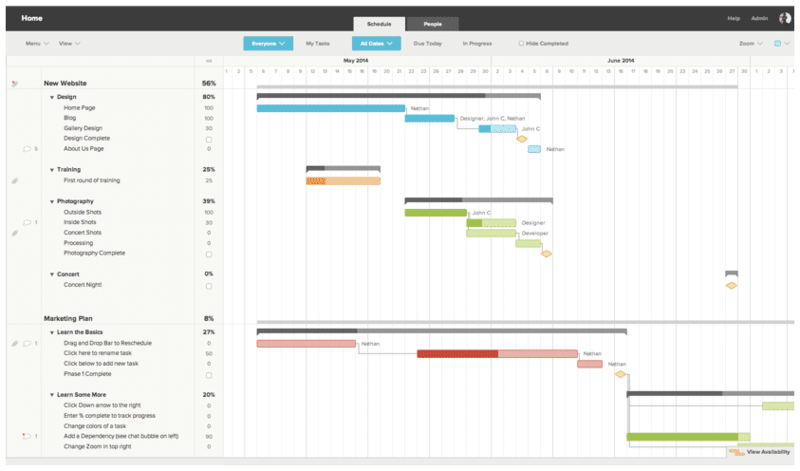 Prior to using TeamGantt the Project Manager would have to collate info and update all progress themselves. 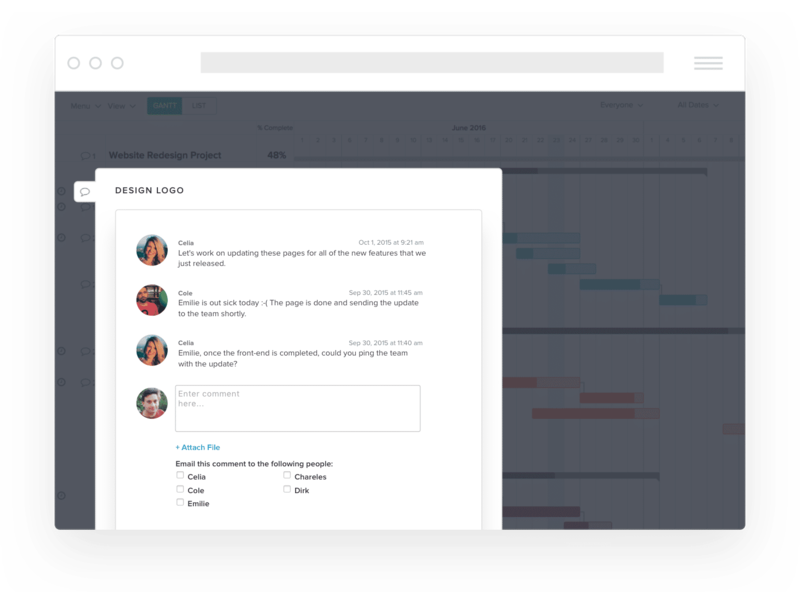 Using TeamGantt, each Team Member is responsible for their own progress updates. Its very good at managing responsibilities and making progress (or lack of it) known. 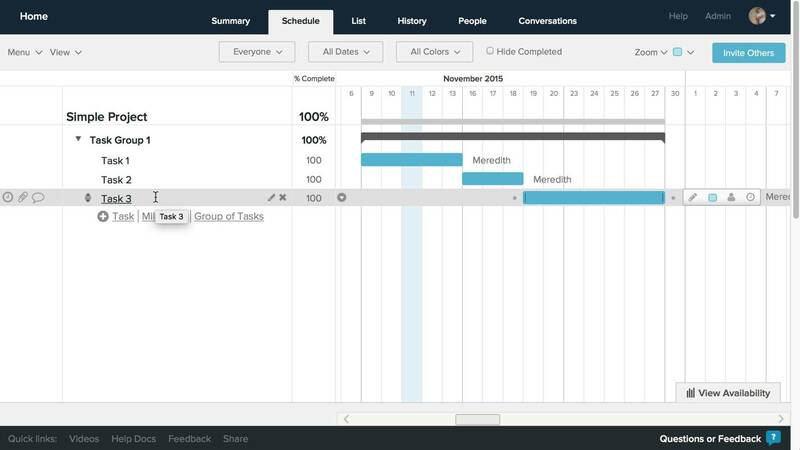 I like best that Gantt bridges communication gaps that used to hinder proper planning. I haven't found anything I dislike yet. 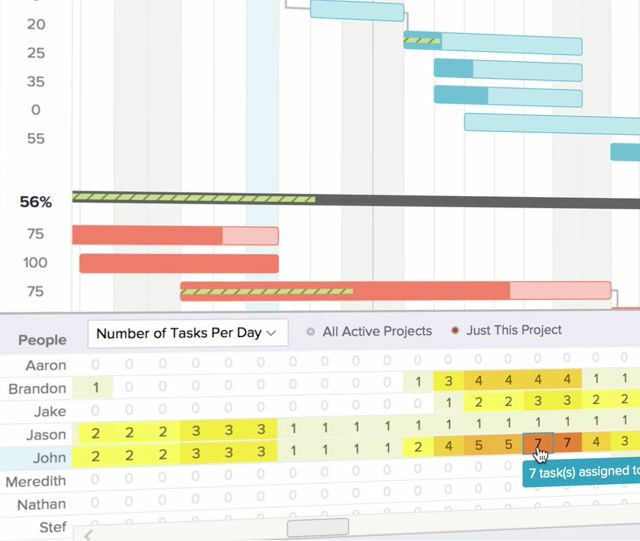 Our company-wide software program offers little to no production planning benefits, so when my trusty team of engineers implemented Gantt it was almost like a dream come true. We are now able to check in and track the status of projects and communicate more effectively without all of the running around. 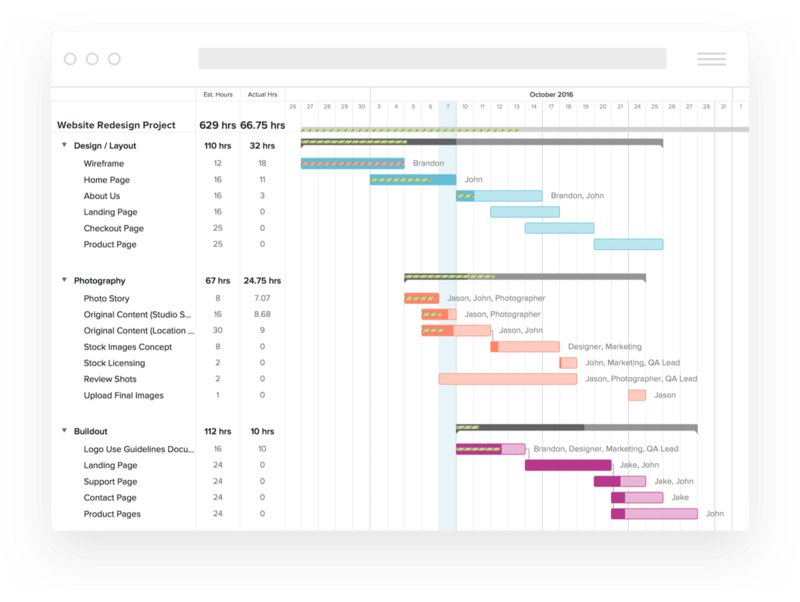 "Helps the team see the big picture"
TeamGantt has a very clean interface that makes it easy on the eyes for those who wish to keep track of projects. 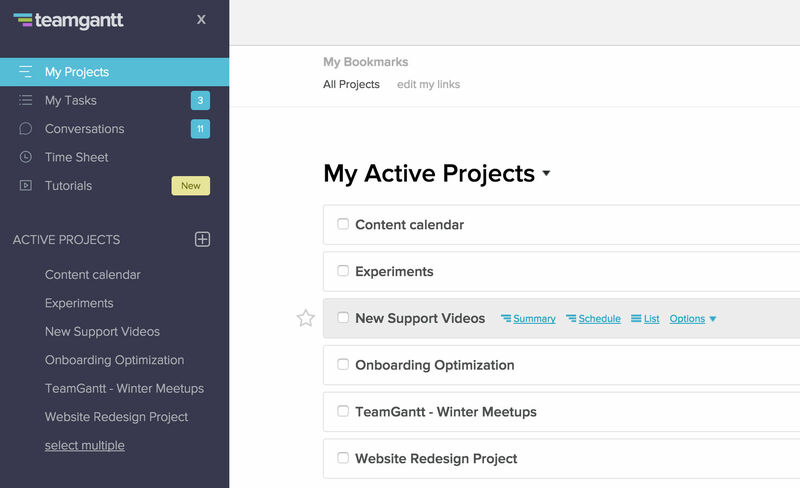 I love that it shows the number of tasks per user so that work load can be managed. 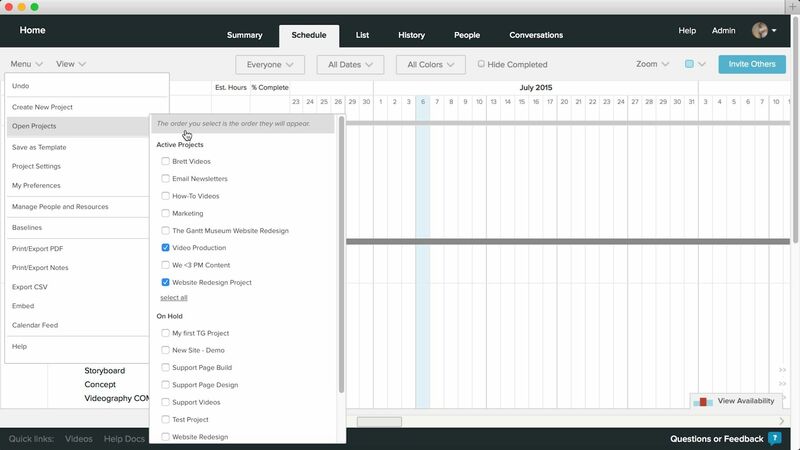 It's also wonderful that there are different view types--calendar, list, and gantt chart. It is relatively pricey. The individual plan can only accommodate 5 projects.The minimum standard plan for 5 people could be a little lower. It battles time management issues and accountability issues. "WOW, where has this been all my life"
I wish the comments left on projects sent the text through email so I knew the urgency of the comment before opening Teamgaant to check the comment.